This little guy gave me quite the start the other day when he suddenly appeared on my windshield as I maneuvered through evening traffic. 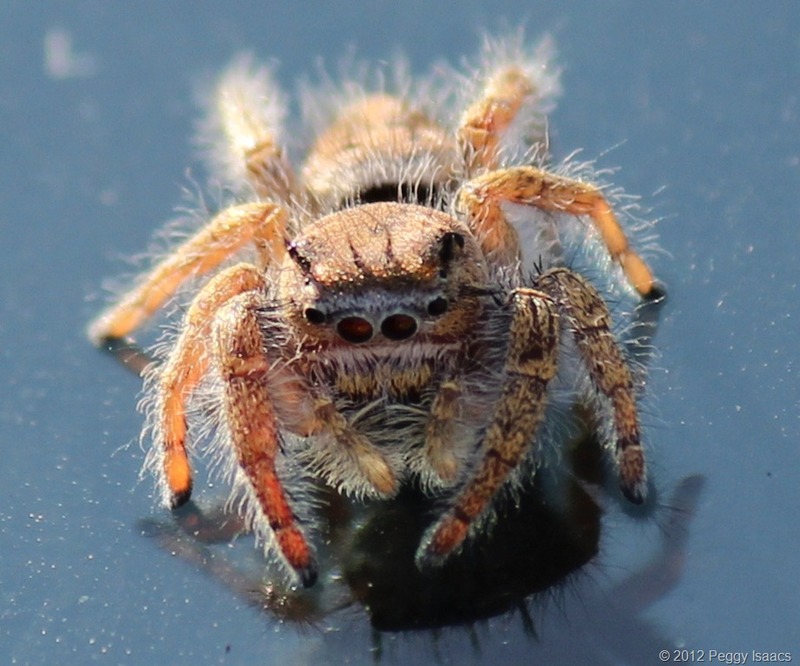 He held on the entire drive home, and he was kind of enough to pose for a few photographs before scurrying beneath my windshield wipers. He was really creepy but cute and cuddly at the same time. We have a lot of scary spiders here in Texas. *shudders* the ones in england are spindly and puny looking compared to that beastly looking one 😛 I wouldnt say cuddly 😛 btw the picture is excellent quality, what camera do you use? It’s those puny ones you have to watch out for here. They are usually the most poisonous. Thank you. I am using a relatively inexpensive Canon EOS T2i Rebel with a macro lens.